If you’re a business owner, you’re probably constantly wondering how to drive traffic to your website. Do you fix your eyes on real-time visitor traffic reports on Google Analytics and all you see is a flat lining graph? Learning how to drive traffic to landing page or website on the cheap is a must-solve issue. If you can’t get your product or service in front of its target audience, let alone any audience, your efforts are totally wasted. Before you start selling your clothing to get a trickle of traffic, I have a suggestion: take a look at ways to generate a ton of high-quality traffic on a limited budget. The M.O. of your website marketing strategy as a bootstrapped business owner is driving traffic and qualified leads via multiple places at little to no cost. Traffic on demand is possible through what’s known as hub and spoke marketing: your website and key landing pages are at the epicenter and dozens of other channels direct website visitors in from across the web. You can lean on multiple channels to discover how to drive traffic to your website. This article will teach you 10 different strategies for how to direct traffic to landing page or website. Influencers, those who carry clout and influence in a particular industry, come in many forms these days. Bloggers, social media icons, YouTube sensations, and even micro-influencers can work to generate positive word-of-mouth for your business, sometimes at little to no cost. 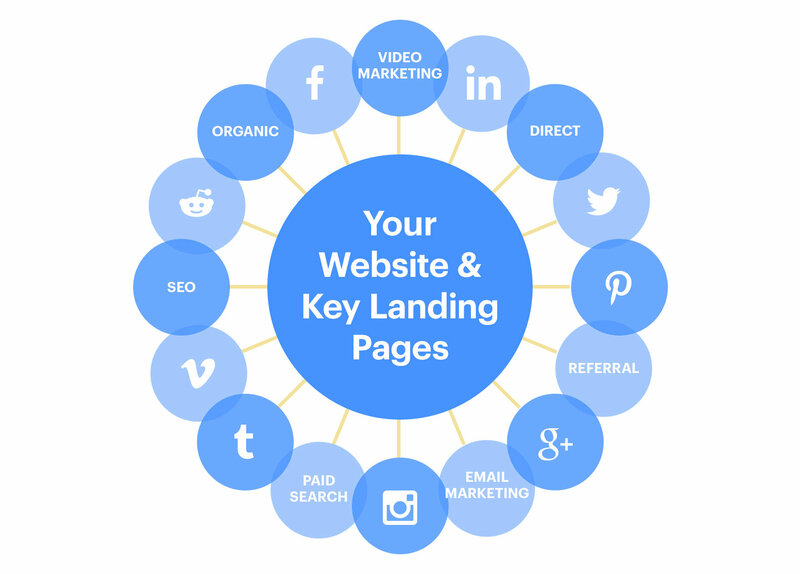 How do you leverage them to drive traffic to your landing page or website, you ask? Incentivize them. Give them your products or ask them to try out your service for free. If they have a good experience, they will broadcast it to their social network or promote it on their own website. Now it’s time to add side dishes to your strategy with value-based content marketing. 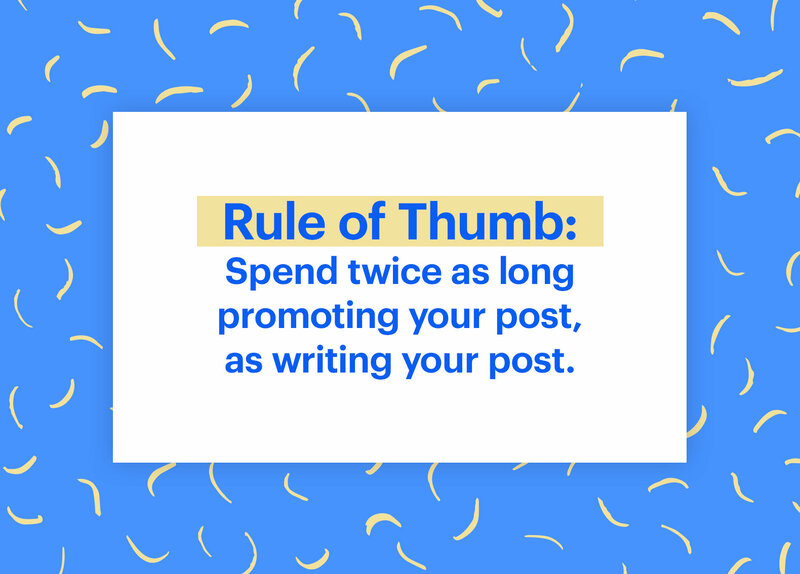 Providing value and personally engaging your audience are two ways you will have true success with blogging. These sites are free to submit to, but you can even boost posts with a paid component to increase the likelihood of being discovered. Did you know 84% trust online reviews as much as a personal recommendation and 68% form an opinion after reading between one and six online reviews according to a study conducted by Bright Local? 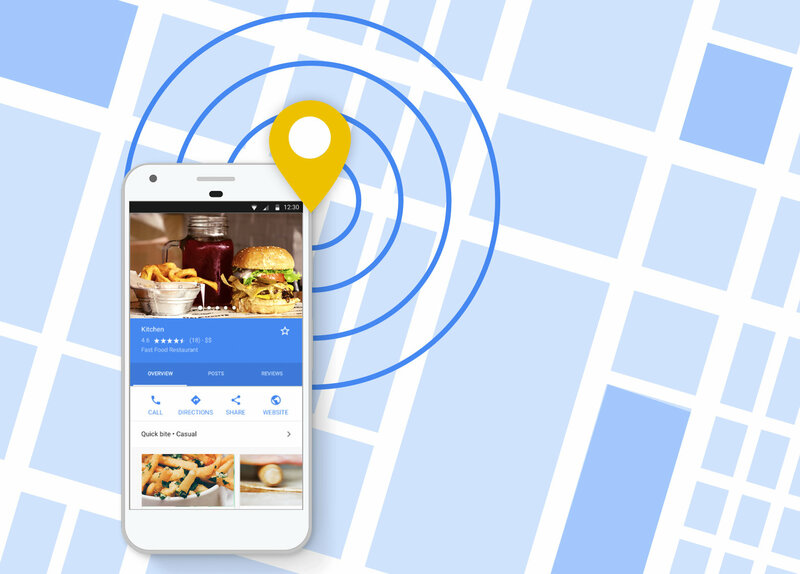 Similar to Yelp, your business’ Google page will drive online traffic.https://www.google.com/business/Google My Business feeds the map information you see on Google. When searching for a business, a map or multimedia content appears on the first page of Google. Create major content assets — like ebooks, long-form blog posts, and white papers — and ask for a quote from prolific industry leaders with sizable social followings, and you may lure their fans to your site. Once the asset is published, let them know, and you may get a digital shoutout. Give the experts a social soundbite so they can easily copy and paste it to their own social channels. This strategy helps socially “viralize” content and it’s also a strong play to generate more backlinks. “I had spent a lot of time and resources building ‘epic content’ and ‘power pages’ over the years without much success, so this year, I founded the Whole Life Insurance Rebellion. I collaborated with dozens of personal finance and insurance bloggers who all agreed to write a post on their sites. All these bloggers mentioned me, and many of them linked to me as well. My “rebellion” was a tremendous success! It got picked up by Nasdaq, NerdWallet, and Forbes, and landed me a total of 24 backlinks. Personally engaging your fans — If you ignore them, then they will ignore you. Responding when they speak, and thank them for their interactions with you. Proving that you’re a human they can relate to, and not just a corporate entity. Think of social media not only as a broadcasting channel but also a listening tool. Use social listening platforms like HootSuite or SproutSocial; or do keyword searches to hunt for conversations about your brand and competitors. Then, engage with the discussions! If people see your brand is accessible and friendly, they will be more apt to buy from you. Video marketing is a favorite content marketing strategies because you can easily repurpose content for bootstrapped video content creation. Plus, some people simply prefer to digest certain types of content via video. To make sure your video is a traffic generator, optimize your YouTube listings by adding a keyword-rich title, description, and tags; then link back to your landing page or website! “Creating videos and uploading them to YouTube can spread your content (and links to your website) around YouTube itself — and from there, Google will index and make searchable your content,” notes DreamHost. Millions of people Google questions each day, seeking the most relevant answer. Enter question – answer sites, commonly the first to appear in Google search results. Websites like Answerbag, Quora, Yahoo Answers, and WikiAnswers all unite question askers and answerers together. Answer questions about your business’ subject matter expertise and make sure to include the address of your website in your profile and answer credentials to draw free landing page traffic. Just remember to include links in answers as you write. If you’ve been a LinkedIn pro for some time, surely you’ve seen the value of marketing on it because it aids in sending traffic to landing page or website. So here’s how to get free traffic to landing page: LinkedIn publishing. 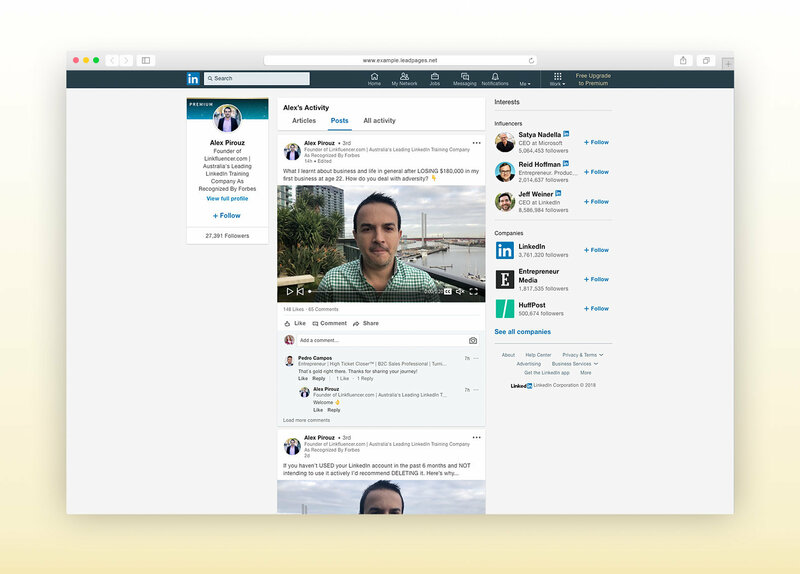 LinkedIn allows you to publish articles within the platform (just like a blog). This feature was rolled out in 2014 and has been a game changer. 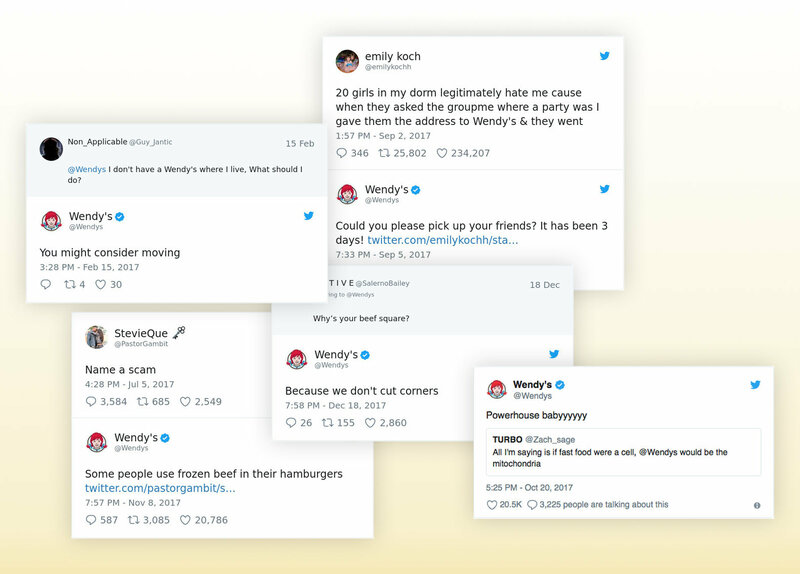 Some of these posts from users get hundreds or thousands of impressions in a short space of time. To add to that, they can potentially rank really well in Google searches. Finally, they can get you even more than great traffic, because you can place links throughout and at the end of the post promoting your landing page—so your article can turn into leads or sales. Be strategic with your keywords. Include pictures and videos to break up your text. Create a ton of value within the post. Include a call to action in your bio. Choose your topic wisely, and it can presell your prospect on what you have to offer before they even get to your landing page. It’s imperative that you can “turn on the faucet of traffic” anytime you need to in your business. This will offer instant access to the data you need to plug any holes in your sales funnel before you branch out to the other traffic stages. And, these methods can be less expensive than you’d think. A one to one ratio means that you make $1 for every $1 spent, and this is considered a successful campaign by many marketers who understands the lifetime value of a lead. You can grow your business by thousands of leads per day by breaking even on lead acquisition, and then you can generate a profit for your business every time you hit send on an email. But, there’s a golden ratio in paid advertising, and that’s the two to one ratio: you make $2 for every $1 of ad spend, or a $1 profit. That may not seem like a lot, but in paid traffic scalability is the name of the game. All in all, paid advertising can be an inexpensive way to learn how to promote your landing page or website. A golden rule to running any marketing campaign is to segment your traffic with strategic, custom landing pages. Never send a visitor to a homepage if you’re hoping to get them to take an action. 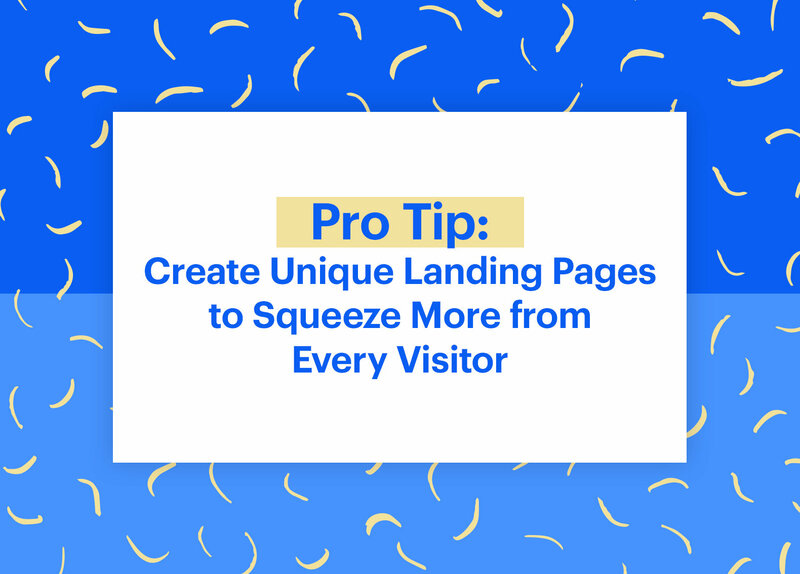 Instead, send visitors to a page specially crafted to match the content of the marketing message and measure landing page traffic. Set up a landing page for every single type of marketing campaign you’re running. Choose a landing page builder that makes it easy to track the conversion rate of your page and A/B test variations. If you’re using Google Analytics to track goal conversions (such as sales or sign-ups), you’ll also want to include your Google Analytics tracking codes, so you can measure and assess traffic by channel. And if you’re a Leadpages customer, we make it (super) easy to add your tracking code to your landing pages. Need some guidance? Give our landing page builder a try. Most of the time, all that is needed to transform a struggling website into a highly profitable one is to start chipping away at 80% of the activities that produce minimal or no results. This “chipping away” will free up 80% more time, energy and resources to allocate towards the 20% of the highest yielding actions. Flipping your traffic strategy upside down could be all that’s needed to get traffic to your landing page or website. Remember: you don’t have to use every strategy listed above to drum up new, high-quality leads. Select a few ideas that make sense to start, see how they move the dial on your business. While site visitors and traffic is excellent – it’s the quality that counts. As you embark on the following activities watch your conversion rate on landing pages to ensure that you’re reaching people who are truly interested in what you have to share. Got that? If you need a visual on all of these awesome tips, download our checklist of traffic-driving tips. Once you’ve mastered how to drive traffic to your website, learn how to convert them with tactics like squeeze pages, emotional marketing, and landing page design.